It is possible to find quality wine for under $25 from this fabled region. Here is a guide to the best. Bordeaux and value? That can’t be right. The name of Bordeaux conjures up grand chateaus, with wines that command equally grand prices. First, some demystifying. The celebrity crus classés of Bordeaux represent no more than 10% of the region’s production and the properties that command the astronomical prices are an even smaller portion. So few estates, so few wines, and yet they have skewed the image of Bordeaux to the point that many wine lovers automatically assume that all Bordeaux wine is beyond their budget, certainly for a Tuesday night supper. But once out of the stratosphere, there is so much to choose from. Many of the crus classés themselves sell for under $50, as do most of the other estates in the major appellations of the Médoc—what are called the crus bourgeois. Below $25, there is another extreme value category that offers exciting wines from appellations that are not so well known (but ought to be), like Côtes de Castillon, Lalande de Pomerol, Montagne St-Emilion, Côtes de Blaye, Premières Côtes de Bordeaux, Haut-Médoc and Graves. The best growers in these appellations can equal the top classed growths in their attention to detail. Another category that is often dismissed is branded Bordeaux—blended wines bottled by Bordeaux merchants under brand names. While some garner little interest, there are several well made, reliable, enjoyable wines that sell for around $12. At these prices, it is hard for winegrowers to make a living. We should applaud those who operate in the lesser regions of Bordeaux, producing delicious wines. Take the Despagne family, based in the heart of the Entre-deux-Mers, a beautiful region that is so often the source of basic Bordeaux. The arrival of quality wines from Bordeaux at these exceptional price points is relatively new. Many of the wineries on our list of the 40 Best Bordeaux Buys are now available to wine drinkers in the United States, thanks to competition, investment in viticulture and winemaking, technical and managerial know-how, the change of generation and more openness in the world. Another factor is the succession of good to great vintages that Bordeaux has seen, certainly since 2000. 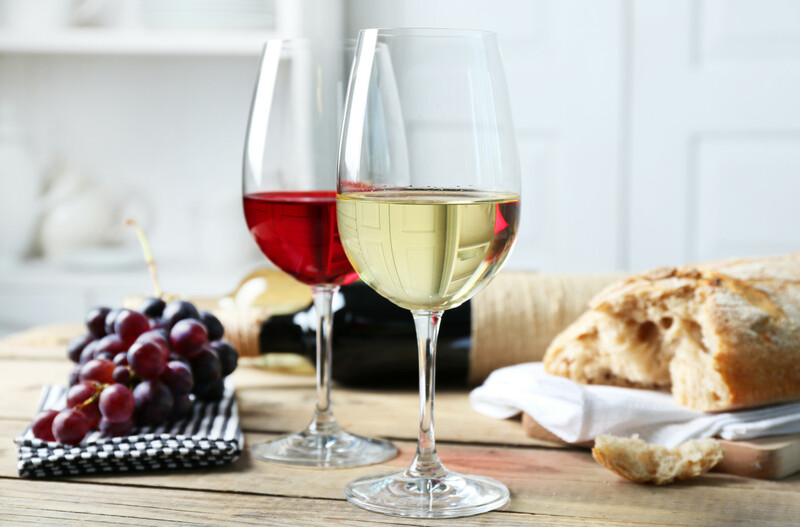 With the sole exception of 2002 (and even that vintage produced some delicious white wines), every vintage of this new century has offered good wine. And the late 1990s saw three vintages—1995, 1996 and 1998—of considerable quality. These wines can still be found. The sheer variety of Bordeaux can seem overwhelming. But don’t let that prevent you from exploring some of the lesser-known estates on the borders of the region. Here, from the right bank of the Gironde Estuary to the left, are a few areas on the fringes of Bordeaux whose wines are worth seeking out. In the north-east of Bordeaux, the two cities of Bourg and Blaye are conveniently paired, with ancient neighboring vineyards facing the great estates of the Médoc across the Gironde estuary. Of the two appellations—Côtes de Bourg and Côtes de Blaye—the former is more consistent, but more expensive. Merlot dominates, producing wine with red fruits and firm tannins in youth. Names in Bourg to look out for are Château Brulesécaille, Château Fougas, Château Haut-Macô and Château Roc de Cambes. Blaye’s reds used to be light, almost claret, but there has been an impressive change among top properties. The region also produces white wines, whose progress has been less marked. In Blaye, seek out Château Mondésir-Gazin and Château les Jonqueyres. Far to the eastern border, in Côtes de Castillon and Bordeaux Côtes de Francs, château owners from neighboring St-Emilion have started buying and developing vineyards and then working them in the grand cru style of top St-Emilions. While more expensive, the wines of Stéphane Derenoncourt’s Domaine de l’A, Stephan von Neipperg’s Château d’Aiguilhe, Thierry Valette’s Clos Puy Arnaud and Juliette Bécot’s Château Joanin Bécot have set an example for others to follow, forcing some of the more traditional estates to smarten up their acts. In the value category, expect wines with a strong dominance of ripe Merlot that age more quickly and delicately, with some of the smoky, perfumed character of St-Emilion. Just north of the high-priced, high-reputation vineyards of St-Emilion and Pomerol are what are known in the Bordeaux wine business as satellites: villages that are allowed to add the illustrious names of the neighbors to their own in order to push up their price and notoriety. Look for Montagne St-Emilion, Lussac St-Emilion, Puisseguin St-Emilion, St-Georges St-Emilion and, just next door, Lalande de Pomerol. There is a mixed bag of quality from these villages. As in Côtes de Castillon, owners from St-Emilion and Pomerol have purchased estates and are setting the pace. If you don’t mind paying over $25, Château Faizeau and Château la Couronne in Montagne, and Château la Mauriane in Puisseguin demand attention. Just above Bordeaux city, in the Entre-deux-Mers region, is the Premières Côtes de Bordeaux. The potential here is obvious; steep clay-and-gravel vineyards with great exposure, on a smart slope about 60 miles away from the ocean. No wonder top consultant Denis Dubourdieu chose Château Reynon, located there, as his home base. The renaissance there is still patchy, so following estate names is the best guarantee. Along with those in the 40 Best Bordeaux Buys, look for Château Suau, Château Lezongars and Château Carsin. On to the left bank of the Gironde: the Médoc and the Graves. The best value wines in the Médoc, although mostly above $25, are the crus bourgeois. Their quality varies enormously. The classification into categories, which began in 2003, (exceptionnel, supérieur and just crus bourgeois) was helpful, based as it was on tasting. But a recent court action saw the whole new system thrown out, with a return to the chaotic situation that was in place since 1932. So buy crus bourgeois by chateau name, not by classification. Apart from that, the best values are in the Médoc and Haut-Médoc appellations. the right climate. Lack of investment and urban sprawl on the edges of Bordeaux city are to blame here. Throughout this vast region, from hill to dale and across the river, good value wines are lurking in Bordeaux. Some say that the French revolution of 1789 has never ended. But when it comes to contemporary, great tasting, good value wines in Bordeaux, the revolution has just (finally) begun. Michel Lynch Merlot, Bordeaux, $8-$10. Michel Lynch, a pair of wines, white and red, is made by the same Médoc team that produces Château Lynch-Bages for Domaines Jean-Michel Cazes. The wines have a polished, smooth, and velvety texture, and are immediately ready to drink. Michel Lynch, by the way, was an Irishman who talked his way into the job of mayor of Pauillac in the 18th century. Imported by Palm Bay. Château St. Sulpice, Bordeaux, $8-$10. The village of Saint Sulpice de Faleyrens, just south of St-Emilion, is home to the 100-acre estate of Château St. Sulpice. The property, run by owner-winemaker Pierre Dubergé and his son Christophe, is planted mainly with Merlot. Wines are aged in stainless steel, leaving fresh fruit as the dominant characteristic. Imported by Frederick Wildman. Yvecourt, Bordeaux, $8-$10. The Mau company’s inexpensive brand is certainly one of the better examples on the market. Available in both white and red. Imported by Victoire Imports. Château Bonnet, Entre-deux-Mers, $10-$12. One of the best simple whites around, as delicious a fresh wine as you can find anywhere. At 400 acres, the Bonnet estate—also the home of André Lurton—is one of the largest in Bordeaux. There are also three reds: a top estate wine called Divinus, a Reserve and a standard red. The price quoted above is for the white and the standard red. Imported by W.J. Deutsch. Premius, Bordeaux, $10-$12. This is the top branded wine produced by Jean-Francois Mau in the négociant company he runs (owned by Freixenet). The white shows good fruit character, and some wood. The red is even better: the 2005 is a relatively rich wine, with ripe currant fruit and balanced wood. There is now a Clairet (a rosé style). Imported by Freixenet USA. Château Mouton, Bordeaux Supérieur, $10-$12. Château Mouton is a small estate in Lugon (a little village to the northwest of St-Emilion), owned by Jean-Philippe Janoueix. This talented winemaker, who also owns Château de Chambrun (Lalande de Pomerol), Château La Confession (St-Emilion Grand Cru) and Château le Conseiller (Bordeaux Supérieur), bought the estate in 1997 and brought it back to life. The wine has good fleshy structure and soft tannins with flavors of cherries. Imported by Serge Doré Selections. Château Coucy, Montagne St-Emilion, $10-$12. This is one of the many properties in and around St-Emilion that is managed by the talented Jean-Luc Thunevin of Château de Valandraud. Expect a modern, fruity style from this 50-acre estate, dominated by Merlot. Imported by Trader Joe’s. Château la Grange Clinet, Premières Côtes de Bordeaux, $10-$12. Michel Haury has worked for many years with Castel, one of the world’s largest wine companies. But this château is his family’s. Situated on the slopes of the Premières Côtes de Bordeaux, it is 60% Merlot, with Cabernet Sauvignon and a small amount of Cabernet Franc. Haury makes an impressively rich wine, retaining a good black currant fruit character, at an impressively low price. Imported by Luneau USA. Presidial, Bordeaux $10-$12. Presidial is the brainchild of Jean-Luc Thunevin of Château de Valandraud. Although it is in the Bordeaux appellation, much of the wine comes from the terroir of St-Emilion. The result is a Right Bank style; lush and plummy. Imported by T. Edward Wines. Château Haut-Sociondo, Côtes de Blaye, $11-$12. Blaye seems to be a forgotten corner of Bordeaux, stuck out on the wrong side of the Gironde estuary across from the Médoc. But its wines are great values, as typified by Haut-Sociondo; not powerful, but always elegant and drinkable. Imported by Classic Wines. Merlot Jean-Pierre Moueix, Bordeaux, $12. A young, very fruity wine produced by Christian Moueix whose family owns many top estates in the Merlot heartland of Pomerol. The 2003 rated 86 points in Wine Enthusiast’s Buying Guide; the 2005 rated 84 points. This is a reliable value; structured, firm and juicy. Imported by Kobrand. Château Ducla, Bordeaux and Entre-deux-Mers, $12-$14. Property of the Mau family for 100 years, this estate exemplifies what can be done in the rolling hills of the Entre-deux-Mers. The two special cuvées, Experience and Permance, punch way above their price points. Imported by Victoire Imports. Dourthe No 1, Bordeaux Blanc, $12-$14. This is what branded Bordeaux should be about, from one of the biggest Bordeaux wine merchants. This white wine is touched with oak, but mainly exhibits the freshness of crisp Sauvignon Blanc and fuller Sémillon. Imported by House of Burgundy. Château Lamothe de Haux, Bordeaux, $12-$14. With both a white and a red of value and quality, Château Lamothe de Haux, on the slopes of the Premières Côtes de Bordeaux, is now a modern winery inside the remains of a 16th-century castle. Seek out the red wood aged Première Cuvée and the fresh unoaked white. Imported by Bayfield. Château de Camarsac, Bordeaux Supérieur, $12-$14. Yet another Lurton in the business, Bérénice, runs the huge château at Camarsac in the Entre-deux-Mers, whose history goes back to the 11th century. This wine appeals to those who like their Bordeaux food-friendly, slightly austere when young and classic in style. Imported by Saranty. Sirius, Bordeaux, $12-$15. The late Peter Sichel of Maison Sichel in Bordeaux created Sirius to show what could be done to simple Bordeaux if it was handled in the fashion of a classed growth. Winemaker son Benjamin Sichel continues the tradition. Red and white styles, both wood-aged, are available. Imported by J & J Importers. Despagne, Premières Côtes de Bordeaux, Bordeaux and Entre-deux-Mers, $14-$20. Any wine produced by the Despagne family is worth considering. They seem to be masters of white wines from the underrated Entre-deux-Mers, where they are based. Château Tour de Mirambeau, Château Rauzan Despagne and Château Bel Air Perponcher are all excellent examples. In reds, both Château Tour de Mirambeau and Château Rauzan Despagne in Entre-deux-Mers, as well as Château Mont Pérat in the Premières Côtes de Bordeaux are worth a sip. Girolate, the single-vineyard Merlot made from hand-tended vines, planted at the extraordinary density of 4,000 vines per acre, is a rich wine that rivals many lesser Pomerols. Imported by Serge Doré Selections. Château Larose-Trintaudon, Haut-Médoc, $14-$16. At 430 acres, this is a huge estate situated just on the wrong side of the Pauillac appellation boundary. The property, now owned by an insurance company, was owned by the Forners (of Rioja producer Marqués de Cáceres) for many years. You’ll spot the stylistic likeness in the soft, approachable good-value style. Imported by Diageo Château and Estates. Château Segonzac, Côtes de Blaye, $14-$16. This is one of the reliable favorites from Côtes de Blaye, the region on the right bank of the Gironde estuary around the pretty city of Blaye, opposite St-Julien. Two red wines are produced: the Tradition, which is aged only in tank and the Vieilles Vignes, a smooth toasty wine aged in wood, with black-currant fruit flavors. Imported by Classic Wines. Château Bertinerie, Côtes de Blaye, $14-$16. Château Bertinerie, Daniel Bantegnies’ 150-acre property makes three wines: a Tradition, a top cuvée called Haut-Bertinerie and a wood-matured white (the 2002 earned 90 points in Wine Enthusiast’s Buying Guide). One peculiarity of the vineyard is that the vines are trained with a very open canopy to enhance ripening. Imported by Ex Cellars. Château Carignan, Premières Côtes de Bordeaux, $15-$17. Once owned by the family of French philosopher Montesquieu, this is now run by Philippe Pieraerts. The style of these wines, from the Premières Côtes de Bordeaux, is rich and smooth under the sure gaze of consultant Louis Mitjavile (Tertre Roteboeuf and Roc de Cambes). Look for the top wine, Prima, as well as the standard château wine, both reds. Imported by Serge Dore Selections. Château Thieuley, Bordeaux and Entre-deux-Mers, $15-$20. The Courselle family has created an estate in the heart of the Entre-deux-Mers that proves how good the wines of the region can be, especially the whites. The top wine, Cuvée Francis Courselle, in both red and white, regularly garners 90 points in Wine Enthusiast’s Buying Guide. Imported by Grape Expectations (CA). Château Chantegrive, Graves, $15-$20. Created from nothing by Henri Lévêque, this estate produces some of the most attractive Graves wines in this price range, both white and red. At a higher price point, look for Lévêque’s Cuvée Caroline. Imported by Ex Cellars. Vieux Château Gaubert, Graves, $16-$18. One of those estates that shows that, with investment and effort, the Graves offers both good value and good wine. The Haverlan family makes white and red, and a top wine, the Benjamin de Vieux Château Guibert. Imported by Robert Kacher. Domaine de Courteillac, Bordeaux Supérieur, $16-$18. Equally good in white and red, Domaine de Courteillac produces supple, easy drinking wines that are approachable young. But don’t be misled by that description, because the red in particular has plenty of depth of flavor and richness. Imported by Ideal Wine. Château Lestrille Capmartin, Bordeaux Supérieur, $16-$18. At the northern tip of Entre-deux-Mers, this property owned by Jean-Louis Roumage produces two wines. The best is the Cuvée Prestige, with 80% Merlot and aged in wood. The château wine, with 60% Merlot, is matured only in tank. Imported by Château St. Martin. Château Treytins, Montagne St-Emilion $16-$18. Château Treytins, owned by one of Bordeaux’ big families, the Nonys, produces wines in two appellations, Lalande de Pomerol and Montagne St-Emilion. Of the two, the tiny six-acre property in Montagne offers the better value. A partially oak-aged wine, it has ripe flavors, with a light, fruity style. Imported by DB Wines. Château Belair, Lussac St-Emilion $18-$20. There are seemingly dozens of châteaux called Bel-Air in Bordeaux. So check the label carefully for the correct appellation when buying the wine. This comes from the St-Emilion satellite of Lussac, producing a firmly tannic wine that needs aging before reaching its value. Imported by Saranty. Château Caronne Ste-Gemme, Haut-Médoc, $18-$20. Owned by one of the grand families of Bordeaux, the Bories, Caronne Ste-Gemme is a cru bourgeois just to the west of Pauillac. The style is rich, soft and concentrated, with new wood evident in youth. It ages well over four to five years. Imported by Bayfield. Château Robin, Côtes de Castillon $18-$20. This is one of the reliable stars of Côtes de Castillon, owned by Stéphane Asséo, who also owns L’Aventure in Paso Robles, California. The 2003 Bordeaux is a rich, powerful wine, full of superripe, dense Merlot. The advantage of this style is that it is ready to drink now, no aging needed. Imported by Ideal Wine. Château Trocard, Bordeaux Supérieur, $20. The Trocards are a long-established family in the area just west of Pomerol. With a number of estates in the same ownership (Châteaux Trocard, Monrepos, Les Chaumettes, Tour de Marchesseau, Franc la Rose in St-Emilion and Vieille Eglise in Pomerol), Jean-Louis Trocard and his son Benoît (a member of Bordeaux Oxygène, a new generation in old chateaus) are producing wines that all offer good value. Monrepos, the top wine from Château Trocard, is an elegant 100% Merlot. Imported by Bercut-Vandervoort. Château Villa Bel-Air, Graves, $20-$22. A first visit to Château Villa Bel-Air in the Graves several years ago revealed a cellar that needed renovation just to keep the roof up. But Jean-Michel Cazes was confident that great things would come from this estate, and he was right. The white is especially worth seeking out; aromatic and full of citrus and kiwi flavors, along with wood. Imported by Palm Bay. Château Lyonnat, Lussac St-Emilion, $20-$22. I’ve always liked Château Lyonnat. The property makes good, solid wine; nothing flashy, but great with food. With 70% Merlot, it is often full and ripe, but the tannins are never far away. Imported by Ex Cellars. Château de Francs, Bordeaux Côtes de Francs, $20-$25. Run by the Hébrard and de Boüard families—Hubert de Boüard owns Château Angélus in St-Emilion—this wine comes from the smallest Bordeaux appellation, tucked up in the north-east corner above Castillon. Dominated by Merlot, the estate’s Cuvée Les Cerisiers is aged in wood, giving a fruity wine with a complex array of vanilla, cocoa and ripe red fruits. Imported by Boisset America. Château Patache d’Aux, Médoc, $22-$24. Domaines Lapalu is a major player in the northern Médoc and Patache d’Aux is their showpiece estate. Under the control of Jean-Michel Lapalu, the family also owns Château Liversan, Château Lacombe-Noaillac, and Château Lieujean. Look also for their branded Cabernet Sauvignon wine, Patache. Imported by Metrowine. Château Ampélia, Côtes de Castillon, $23-$25. One of the most recent arrivals in the world of cult wines from Côtes de Castillon, Ampélia is owned by the Despagnes of Château Grand Corbin-Despagne in St-Emilion (who in turn are relatives of the Despagnes of the Entre-deux-Mers). Around 1,300 cases are produced of a concentrated, intense wine. The 2004 represents great value. Imported by Stacole. Château de Candale, Haut Médoc, $23-$25. Owned by the Cruse family, this comes under the same management as Château d’Issan, the Margaux classed growth. A blend of 65% Cabernet Sauvignon and 35% Merlot, the wine is aged in wood for 18 months. The style is plush and velvety, aging relatively quickly. Imported by Palm Bay. Château Grand Moulinet, Pomerol, $23-$25. There aren’t many Pomerols that can be called good value at this price point. So take advantage of this supple, gentle wine that is medium-bodied but still shows plenty of the opulence of a good Pomerol in top years. Imported by Luneau USA. Château de la Dauphine, Fronsac, $25. A great showplace on the road through Fronsac, this property was bought by Jean Halley in 2000. New investment is paying off in an impressively ripe 2004, generous and rich, with black, plummy fruits. Imported by Morrell. Château Peyrabon, Haut-Médoc, $25. Owned by Patrick Bernard, of the same family that owns Domaine de Chevalier, this is a new and rising star in the Haut-Médoc, propelled by considerable investment. The 2002 vintage sells for under $25—later vintages are more expensive. Multiple U.S. Importers.